Perched on the edge of Lake Michigan, Chicago is a true boating haven. The lake is easy to navigate, with very few reefs and shoals, and has a lifetime supply of spectacular destinations. There’s something about being on the bright blue waters of the expansive Lake with the famous skyline in the background; you can be part of the scene or make a quick getaway from city life. 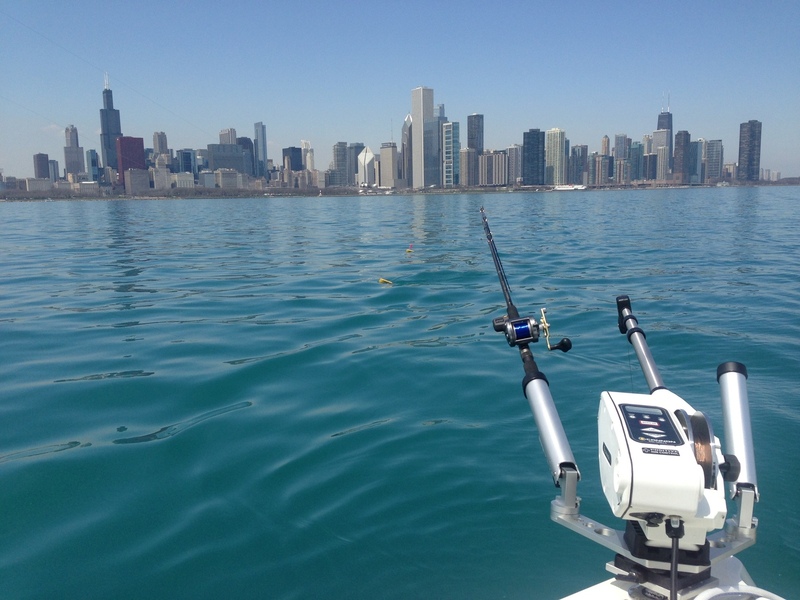 If you’re anywhere near Lake Michigan this summer, getting out on the water should be your first priority. There’s everything from world class sailing to some of the biggest raft up parties we’ve ever seen, and everything in between. This harbor really evokes the waterfront summertime boating vibe. The beachside vacation feel here is palpable with a bustling marina, dockside bbqs, music playing, and a big sandy beach full of people. It’s got a super friendly atmosphere with transient dockage available, and a gorgeous view of downtown. Perch, King Salmon, Coho and Trout are a few of the fish you can expect to reel in off the shores of the lake. King Salmon, or Chinook, season is spring and summer. So as the warm weather sets in it’s a perfect time to head out for a big catch. North of Chicago off the shores of Lake County is where you see some true anglers after a big summer catch. Race to Mackinac - July 11 This is one of the most prestigious races in sailing, not to mention it’s the longest fresh water sailing race in the world. Every year boats are out to watch the start of the race as the magnificent yachts sail up to Mackinac Island, 290 nm north. Chicago Scene Boat Party - July 25 Perhaps a bit debaucherous at times, the Playpen boat party is usually populated by over 800 boats and thousands of people. The on-the-water social scene of the summer. Chicago Air and Water Show - August 15-16 The largest free air and water show in the US. Stunt planes, blue angels and more, watch from the boats and avoid the crowds. 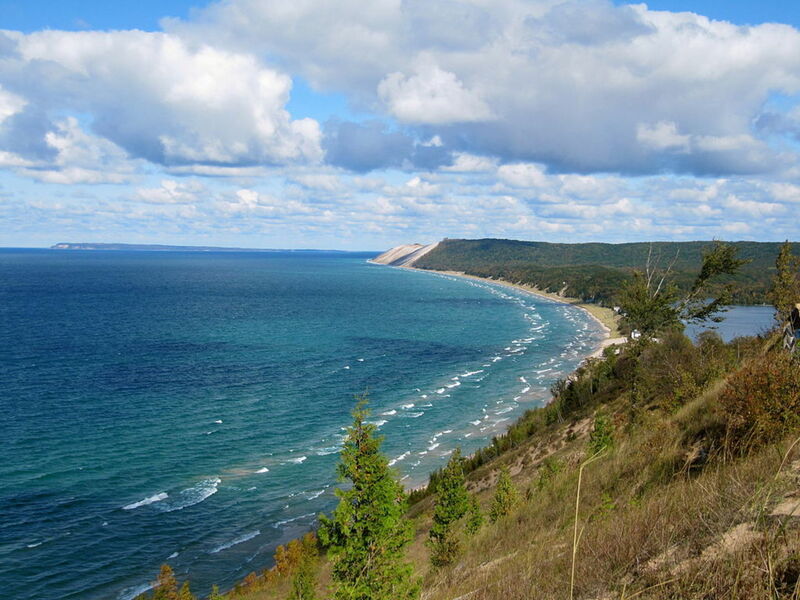 If you’re looking for more of a, day trip or weekend adventure, head across the lake to the Indiana Dunes National Lakeshore and the south west coast of Michigan. 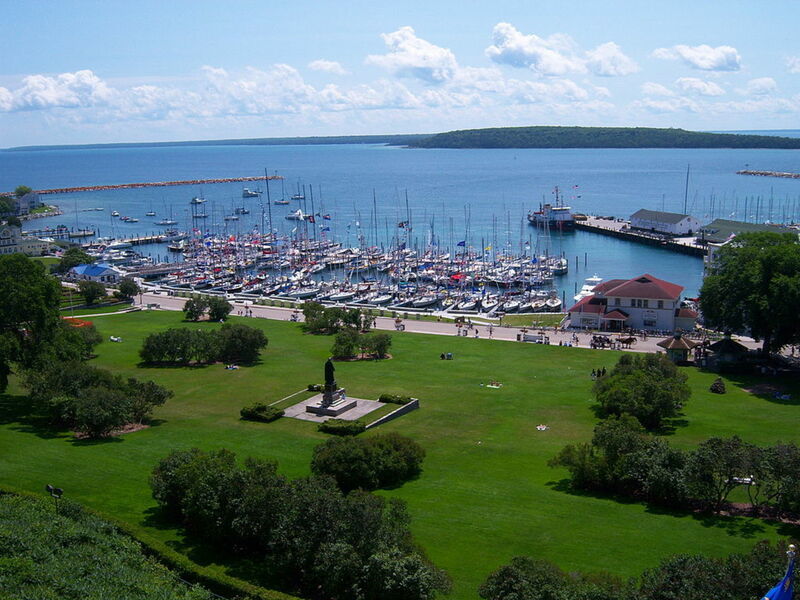 The gorgeous harbor towns of St. Joseph up to Saugatuk and beach houses that line the breathtaking dunes along the coastline here are worth the trip. 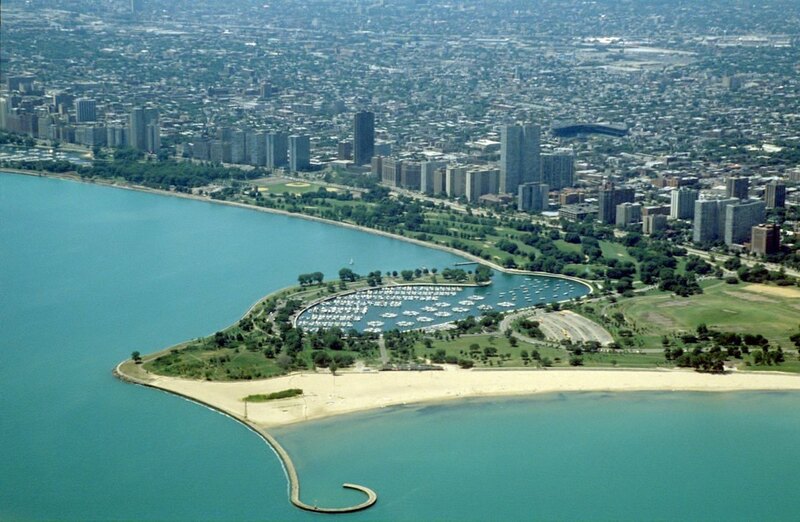 Even though you're only 50 nm from the city of Chicago, you’ll feel like you’re a world away. 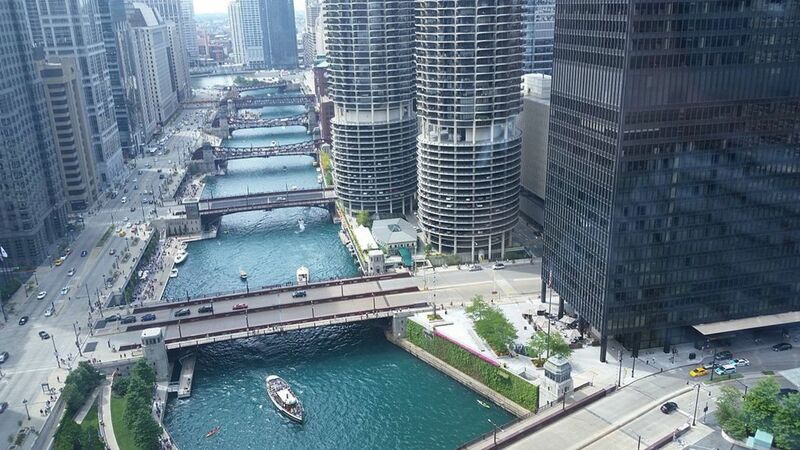 Chicago natives know all about the famed Chicago Riverwalk, but if you are in just for the weekend, no Chicago experience can be complete without experiencing the Chicago Riverwalk. 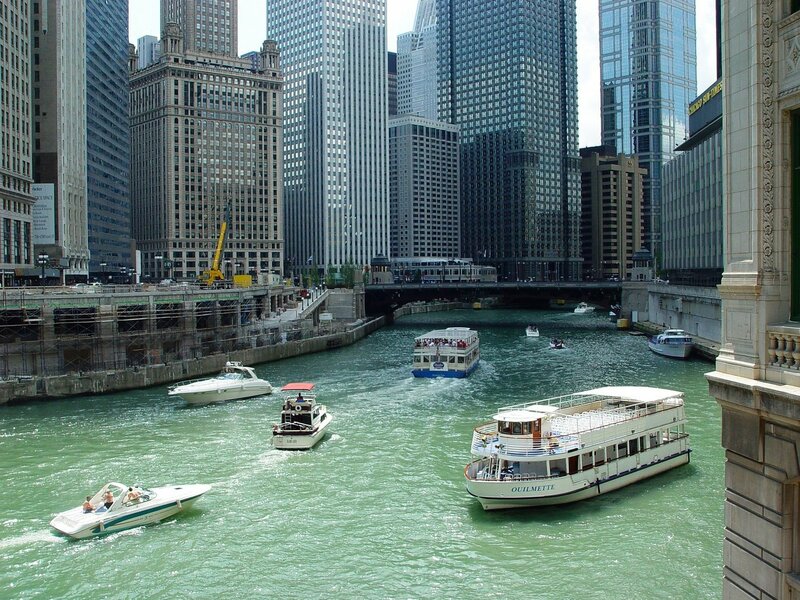 Get a unique view of the wide variety of architecture of the city by boating up and down the South bank of the Chicago River. Cruise along the art deco skyscrapers and experience the city skyline up close from the water. Ready to jet out to sea or to let out the sails, catch the wind, and soak up the sun? Forty-four miles west of Chicago, lies Lake Geneva, adjacent to Fox River, and a perfect boating destination. Spend the day tubing with friends or dropping a line to catch freshwater trout and salmon, native to Chicago waters, and then pull up to one of the many available slips to enjoy a waterfront restaurant. If you want to see downtown from a unique perspective, The Chicago River snakes right through the heart of it. You’ll see some of the most magnificent urban architecture in the US as you pass under the bridges that span this famous waterway. Lined with parks, bars, and restaurants, the river takes you past some of the best sights in the city. Interested in taking in history and watching the oldest annual freshwater distance race in the world? 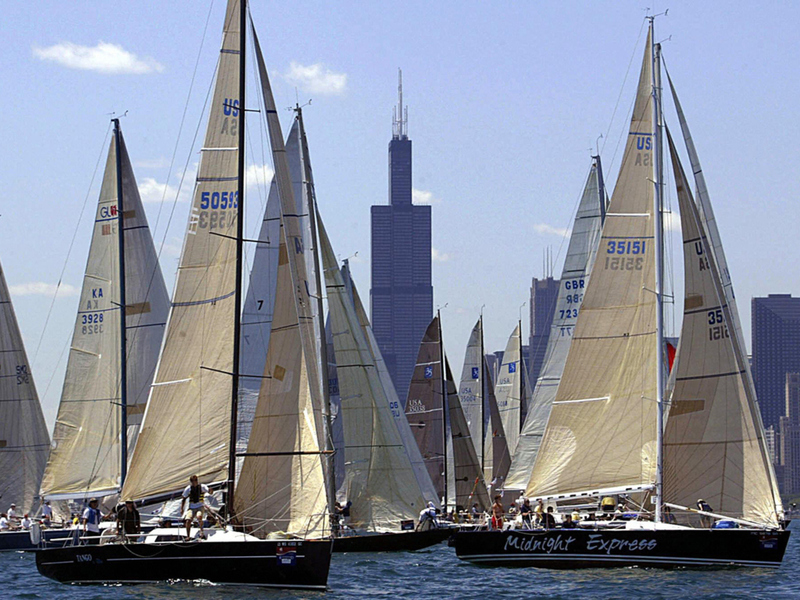 Catch the 333-mile Chicago Yacht Club Race as it begins off Navy Pier by the Chicago Harbor Lighthouse as you watch from the comfort of your own boat. 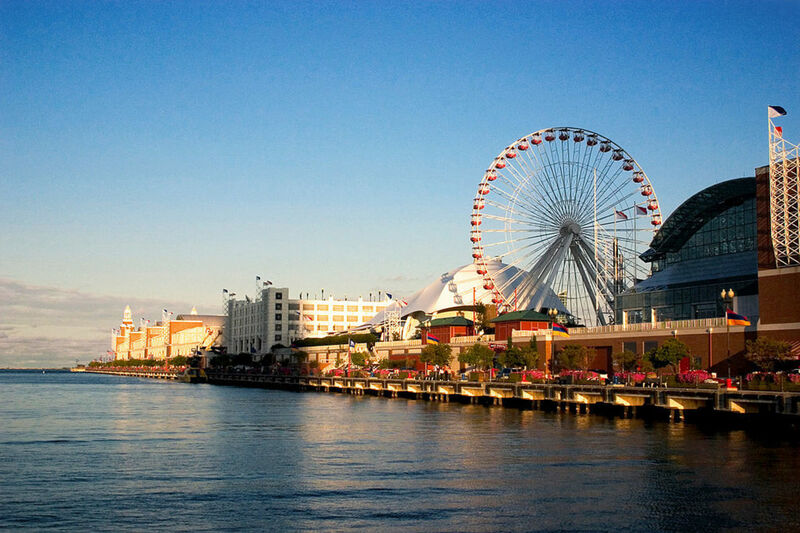 Navy Pier on the shore of Lake Michigan is the most visited attraction in Chicago and all the Midwest. Come summer time, this city waterfront lights up with activity including a wave wall, a centennial Ferris wheel, and weekly fireworks, taking place on Wednesdays and Saturdays from Memorial to Labor Day. From Navy Pier you can also enjoy world-famous sailing competitions and concerts taking place all summer along this 3,300-foot pier. 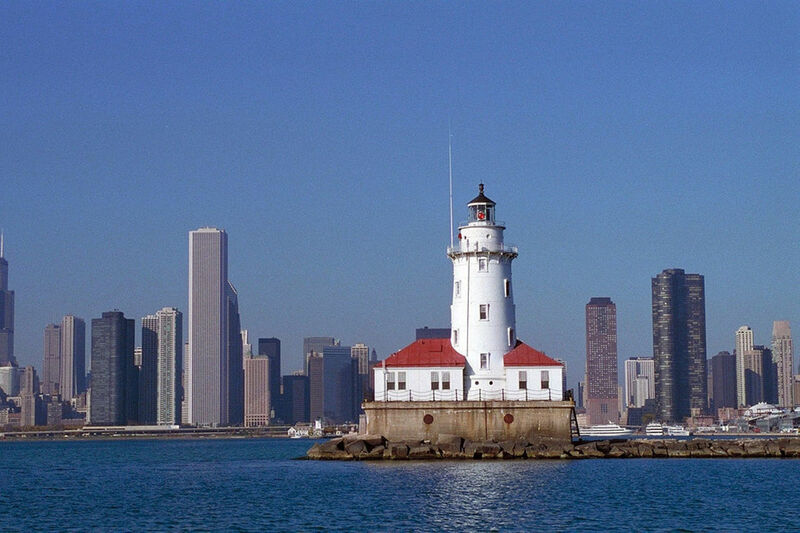 Be a part of the action, but away from the crowds, by powering out to the Chicago Harbor Lighthouse, east of Navy Pier at the start of the Chicago River and taking in the scene from your own private boat with Chicago boat rentals. Hear your favorite bands playing live at the local restaurants as you relax on the open water, watching the Air and Water show away from the crowds with your own private view. Set sail for VIP experiences like no other. Chicago boasts award-winning restaurants sure to impress any foodie, the best of which are accessible by boat. In the mood for farm to table, fresh cocktails, oysters and champagne? 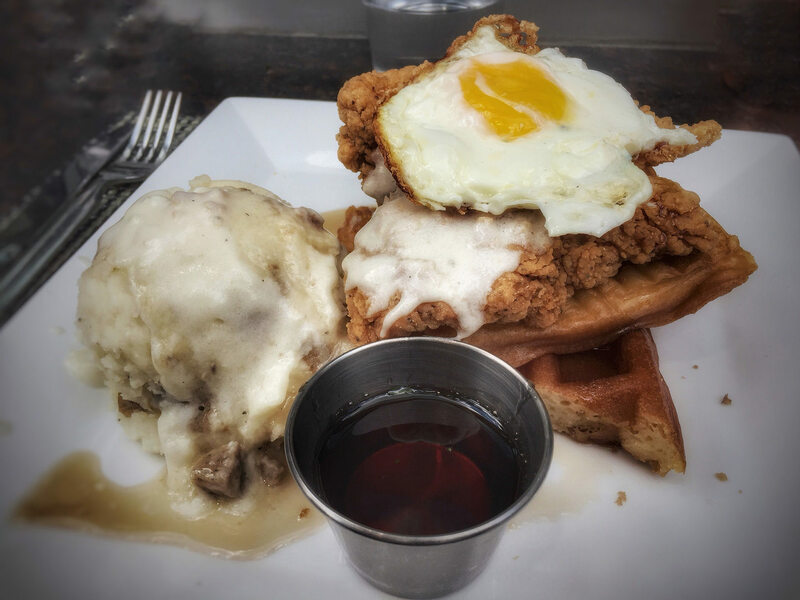 Whatever your fix, the Chicago restaurant scene can deliver. You can’t beat the atmosphere and the views, just pull up to a dock, tie in, and go ashore. From the renowned Bridge House Tavern to pulling up to a tiki bar for fresh oysters or local catch while overlooking Lake Michigan, tie into a slip throughout the city proper or outlying suburbs to satisfy your appetite from your day on the open water. Ninety miles southwest of Chicago lies Vermilion River at Oglesby, the only whitewater stream in northern Illinois. This might be the destination for you if you are seeking a thrilling rafting experience to pump up your senses.